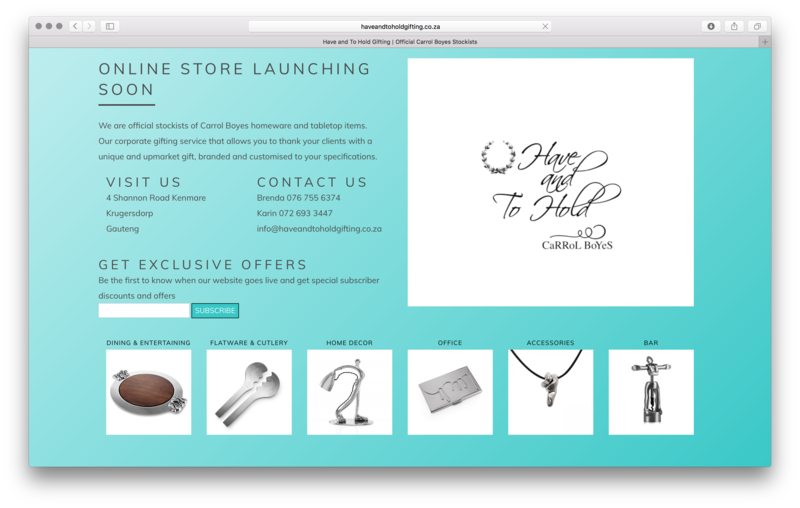 Have and To Hold Gifting is a small Carrol Boyes store located in Krugersdorp. The ladies that run this company really are a dynamic duo. Our mission is to increase their local awareness and get feet in store. We are using Facebook to primarily run this. We are currently building their e-commerce platform.